It’s important to be sure to properly open and close your sprinkler system before the changing seasons. Feel free to use the list below as a guide! • Before turning on any water to the system, make sure all manual drain valves are returned to the “closed” position. • Open the system main water valve slowly to allow pipes to fill the water gradually. If these valves are opened too quickly, sprinkler main lines are subjected to high surge pressures, uncontrolled flow, and water hammer. • Verify the proper operation of each zone valve by manually activating it from the controller. • Walk through each station on the controller, checking for proper operation of the zone. 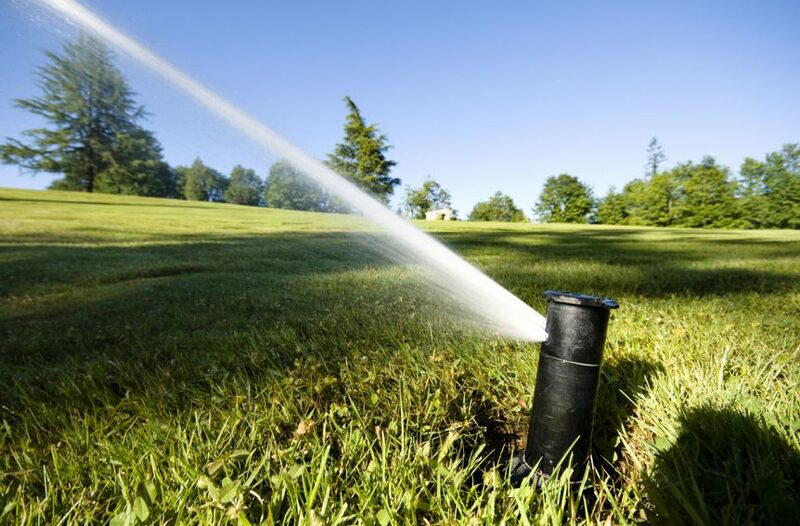 Check for property operating pressure (low pressure indicates a line break or missing head), proper rotation, adjustment of sprinkler heads, and adequate coverage. • Check and clean filters on poorly performing sprinklers. Adjust heads to grade as necessary. • Reprogram the controller for automatic watering. Replace the controller back-up battery if necessary. • Inspect the rain sensor, if applicable. • Finish and clean any in-line filters for drip irrigation zones. • It is recommended that our qualified irrigation technician perform this type of service in order not to void our warranty. It is recommended that our qualified irrigation technician perform this type of “Winterization” in order not to void our warranty. • The blow out method utilizes an air compressor with a Cubic Foot per Minute (CFM) rating of 80-100 for any mainline of 2” or less. • The compressor is attached to the mainline via a quick coupler, hose bib, or other type of connection, which is located after the backflow device. • Compressed air should not be blown through any backflow device.